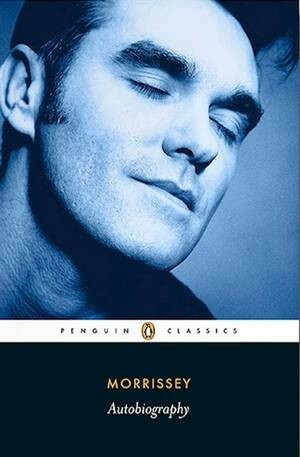 “Morrissey’s Autobiography was published by Penguin, under its Classics imprint – a decision with which Gill takes great issue in his review, calling it the singer’s “most Pooterishly embarrassing piece of intellectual social climbing”. Gill concludes that putting the book, “a potential firelighter of vanity, self-pity and logorrhoeic dullness”, in Penguin Classics “doesn’t diminish Aristotle or Homer or Tolstoy; it just roundly mocks Morrissey, and this is a humiliation constructed by the self-regard of its victim”. “I moved to New York City, and I needed to make money. I wasn’t having luck getting a job. It’s a common tale,” writes C.D. Hermelin, a 26-year-old writer living in Brooklyn in the US. Hermelin’s solution to keeping the wolf from the door was kinda unusual. He grabbed the typewriter he bought at a yard sale for 10 dollars, took it to a park, and started to write for cash. “I’d write stories for people, on the spot—I wouldn’t set a price. People could pay me whatever they wanted. I knew that I had the gift of writing creatively, very quickly, and my anachronistic typewriter (and explanatory sign) would be enough to catch the eye of passersby. Someone might want something specific; they might just want a story straight from my imagination. I was prepared for either situation.” Needless to say as writers, we think Hermelin’s a rock star. Read the story about an inventive writer who became a hated hipster meme, and survived to tell the tale. On Twitter Hermelin is @cdhermelin. This entry was posted in Making money, Uncategorized, Writing and tagged C.D. Hermelin, making money, writing. 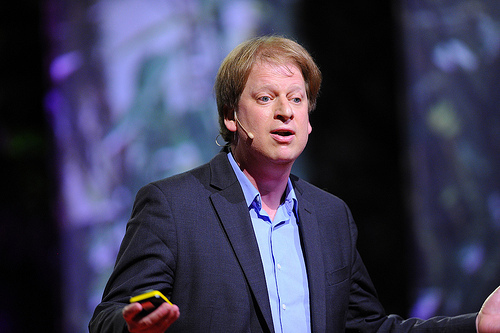 “At the heart of game storytelling is the concept of “player agency”. Here, “agency” refers to the ability of a player to make changes within the game environment, or even more importantly, the illusion of being able to do this. If the game presents a convincing enough illusion of freedom then the player suspends his or her disbelief in the artificiality of the game’s world and the limitations in their choice of pathway. As a medium of interaction, videogames present the player with different possibilities and ask them to enact stories based on designed structures. Read the full story at New Statesman. This entry was posted in Games, Uncategorized, Writing and tagged New Statesman, writing, writing for games. Always wanted to write like Hemingway? Here’s how. Here’s an app for everyone who dreams of writing clearly and boldly like Ernest Miller Hemingway. Called the HemingwayApp, the algorithm created by brothers Adam and Ben Long hunts through writing to find ‘unHemingway-like’ writing and highlights it for a rewrite. Sentences that are too long are accented, while words that could be simplified are earmarked for substitution. 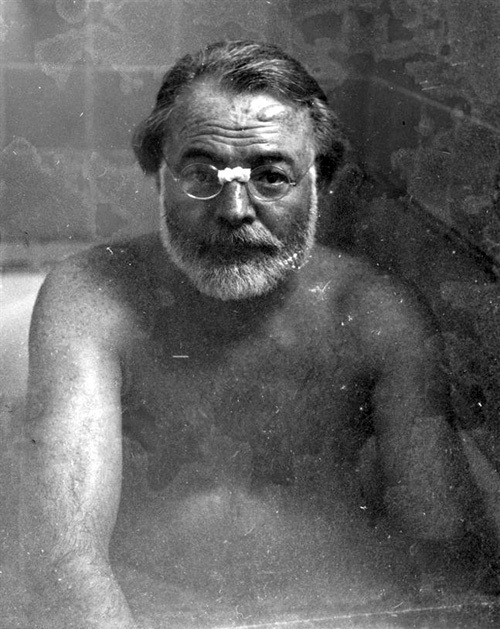 Hemingway hated adverbs – his writing was sparse yet authoritative – so words that modify verbs, like wonderful and quickly, are also highlighted for the chop. Read The New Yorker’s interview with the Long Bros, in Ian Crouch’s story: Hemingway Takes The Hemingway Test. This entry was posted in Uncategorized and tagged Adam Long, Ben Long, Ernest Hemingway, Hemingway App, HemingwayApp, Ian Crouch, Mandy de Waal, mandyldewaal, New Yorker, The New Yorker. “Nobody tells this to people who are beginners, I wish someone told me. All of us who do creative work, we get into it because we have good taste. But there is this gap. For the first couple years you make stuff, it’s just not that good. It’s trying to be good, it has potential, but it’s not. But your taste, the thing that got you into the game, is still killer. And your taste is why your work disappoints you. A lot of people never get past this phase, they quit. Most people I know who do interesting, creative work went through years of this. We know our work doesn’t have this special thing that we want it to have. We all go through this. And if you are just starting out or you are still in this phase, you gotta know its normal and the most important thing you can do is do a lot of work. Put yourself on a deadline so that every week you will finish one story. It is only by going through a volume of work that you will close that gap, and your work will be as good as your ambitions. And I took longer to figure out how to do this than anyone I’ve ever met. It’s gonna take awhile. It’s normal to take awhile. 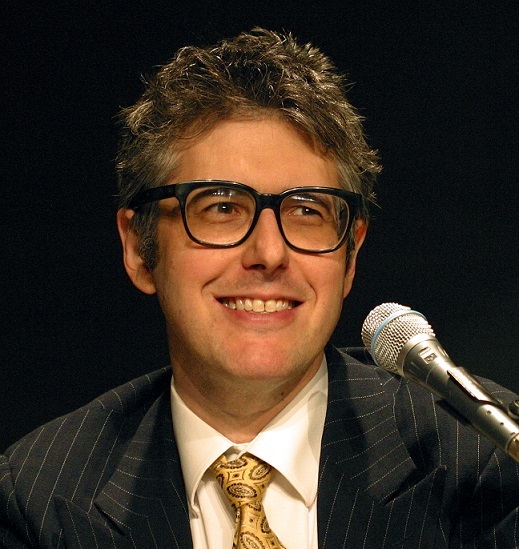 You’ve just gotta fight your way through.” – Ira Glass. Watch The Gap by Ira Glass re-imagined visually by Daniel Sax. This entry was posted in Uncategorized, Writing and tagged Ira Glass, The Gap, writing.